LOUISVILLE, KY (January 31, 2017) — The Forecastle Festival has added more than a dozen acts to its three-day music, art and activism celebration, including Kentucky’s own Sturgill Simpson, electro-dream pop duo Phantogram, indie art veterans Spoon and many more. 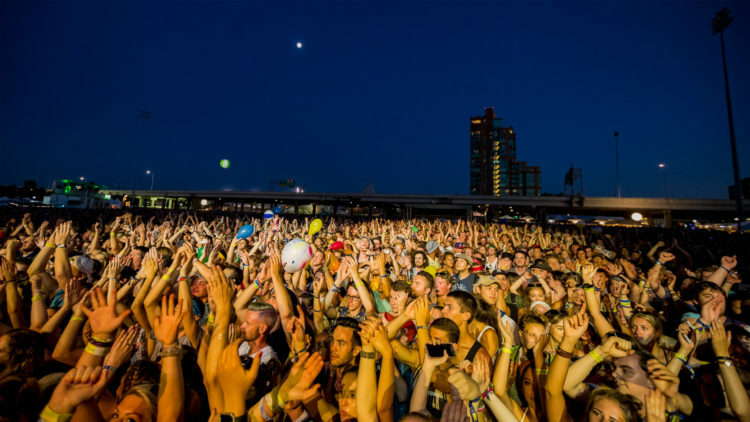 Celebrating 15 years at sea, Forecastle Festival will take place July 14-16, 2017 at the award-winning Waterfront Park, situated on 85 acres of green space with views of the Ohio River and the downtown Louisville skyline. After his blistering performance on Saturday Night Live, Sturgill Simpson proved to millions of viewers why his latest release, A Sailor’s Guide To Earth, is a contender for Album Of The Year at this year’s Grammy Awards. Fellow Grammy nominee and Forecastle addition Tycho, whose album Epoch debuted at no. 1 on the Billboard Dance/Electronic Charts, also earned a nod for Best Dance/Electronic Album. Spoon returns to Forecastle Festival with the release of their ninth album Hot Thoughts, out March 17 via Matador Records, the band’s first album since 2014’s They Want My Soul. The full list of artist additions includes Sturgill Simpson, Phantogram, Spoon, Capital Cities, Tycho, Real Estate, K. Flay, What So Not, Whitney, Classixx, Joseph, Chicano Batman, Jaye Jayle, Jeffrey James, Oyster Kids and *repeat repeat. The full festival lineup with additions can be found below. General Admission weekend passes are available at ForecastleFest.com and all Ticketmaster outlets, with a limited quantity remaining at $149.50 + fees. VIP weekend passes, including front stage viewing areas, an air-conditioned lounge, branded merchandise, access to the Bourbon Lodge and more, and General Admission Plus weekend passes, with exclusive air-conditioned lounge access, a private bar and special entrance lines to the festival, are also available along with Payment Plan options for all weekend pass types. Full details can be found at ForecastleFest.com. News on late-night programming, daily tickets, bourbon lineups and more will be available in the coming months. For the latest updates from Forecastle Festival, fans can visit ForecastleFest.com, Facebook, Twitter, Instagram, and sign up for the Forecastle newsletter.